Mr. and Mrs. Halstead, of 23, Richard-street, Burnley, have been officially notified of the death of their eldest son, Pte. 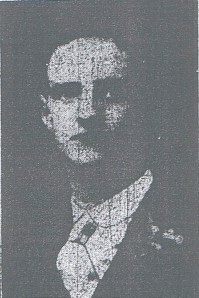 Edgar Halstead, of the 10th Battalion Highland Light Infantry. The notice stated that he was killed in action on September 25th at a place not stated in France. Pte. Halstead, who was 26 years of age, formerly worked as a twister at Messrs. Thonrber's Elm-street Shed. He enlisted on August 29th last year, and had been at the front eight months, escaping any injury up to the time he was killed. He was a widower, and leaves one little daughter. He lived with his father and mother, and was very well known and highly respected in the district. In his younger days he was connected with the West-gate Congregational Church, being brought up in the Sunday school there, but latterly he had sometimes attended St. Margaret's Church.